Spread over 16 hectares of bush-land, you will find beetles the size of buildings hiding in bushes. 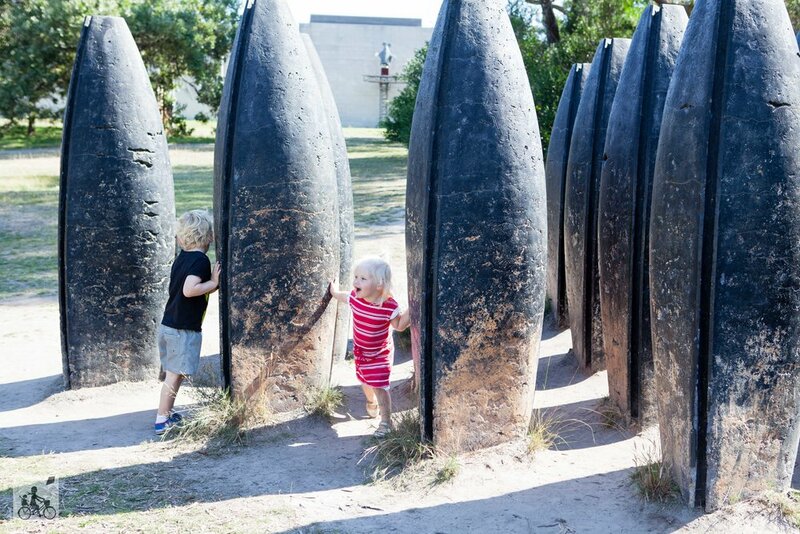 Don't worry Mamma's, there isn't a swarm of mutant-beetles on the loose - they are only sculptures! Everywhere you walk around McClelland park, you will stumble across some weird and wonderful abstract piece of art. In fact - there are over 100 pieces spread throughout the lush forest. A favourite being the short stone-wall maze. Kids will spend ages trying to work their way through it. Or take the easy way, and just climb over! You will also find the convenience of a cafe, an indoor gallery, and a lake full of frolicking ducks. This is the perfect place to pack a picnic and take the kids on an adventure where their imaginations can run wild. Mamma's special mention: make sure you have your walking shoes on, as there are a lot of bush tracks with rocky terrain that you will want to explore!